As explained previously in Temporal Anomalies Classics, the useful and oft-linked index to the years of Examiner articles became unavailable. This was the third of a series of indexing articles, each expected to cover articles in series begun during a particular calendar year, 2009 and 2010 having been covered. 2011 began with Los Chronocrimines (TimeCrimes), followed by Timeline, A Sound of Thunder, Next, Frequently Asked Questions About Time Travel, Source Code, Warlock, and Blackadder Back & Forth. This year again included several articles which were not time travel analyses but related to time travel movies in other ways. As explained, this series of indices was started when it became temporarily impossible to maintain this web site and seemed advisable to provide links to early Examiner articles for ease of access. That in turn became problematic, and we have since determined instead to move all that material here to M. J. Young Net, and hopefully to support it by reader contributions through Patreon and other means. Temporal Anomalies Index 2010: is the predecessor to this article, covering the Terminator series and the addition of Terminator Salvation, The Last Mimzy, The Lake House, The Time Traveler's Wife, Hot Tub Time Machine, and Premonition, a few miscellaneous articles including previous indices. 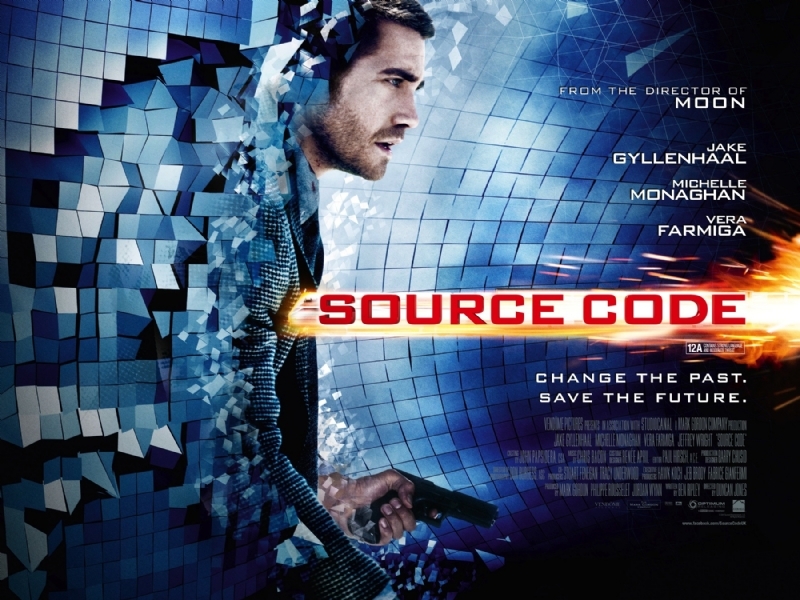 Source Code opens April 1, 2011: comments briefly on the film and its tropes. Future Time Travel Film Analyses--2011: provides a look ahead at films to be covered later in the year and beyond. Why not analyze time travel televison shows? 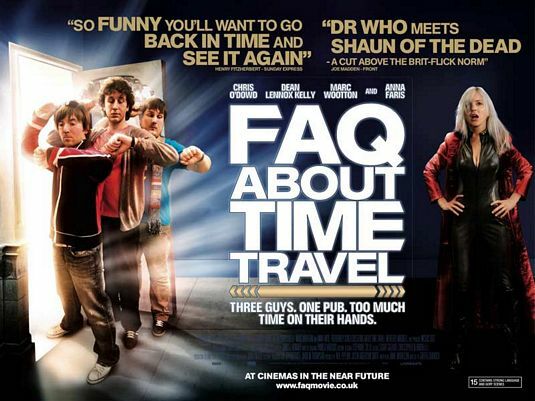 : answers an oft-asked question with some of the reasons why time travel in a television series is a more difficult and in some ways less interesting problem. Men in Black III remakes history: anticipates the release of the first time travel movie in the comedy science fiction franchise. 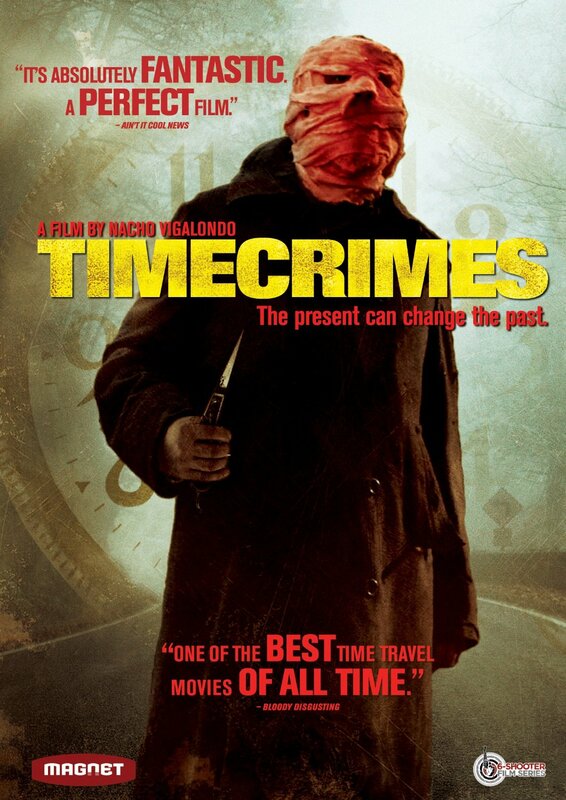 Several readers encouraged the analysis of Los Chronocrimines, a Spanish film released to English-speaking audiences under the name Timecrimes. Thanks go to Gary "Gazza" Sturgess for making a copy available (along with several other films). It proves to be a fascinating multi-layered predestination paradox, but also unravels nicely with a very few assumptions. The Gist: briefly presents the concept of the film. Harmonization Begun: stacks the three repetitions of the time traveler's action into a single timeline, through a critical midpoint in the story. Harmonization Completed: finishes the single timeline presentation of the story. A Naked Problem: presents the problem of why the girl would be in the woods absent the time traveler's interference. An Intentional Problem: presents the problem that all the critical actions of the first version of the traveler are intentionally induced by the actions of the second. An Accidental Problem: presents the problem that the actions of the second version of the traveler are largely induced by those of the third. A Third Person Problem: examines the actions of the third version of the traveler, and how they are geared to control those of the second. The Naked Girl: proposes one possible explanation for the presence of the girl in the woods. An Original Stalker: rejects the previously proposed explanation in favor of one which assumes the presence of an outside party in the original history. A First Change: attempts to reconstruct the actions of the time traveler after his first trip back before the existence of the version of himself who makes the second trip. Who Fell? : raises and answers the question of why the time traveler believed it was his wife who fell from the attic when the later version of himself had not interfered. Third Acts: reconstructs the actions and motivations of the third version of the time traveler. Stabilizing: explains how the actions of all versions of the time traveler ultimately form a stable history. There is slated to be a future release of an American movie under this title, of which details are not yet available. Michael Crichton is known for being able to take the latest ideas in science and turn them into thrilling novels which become exciting movies. 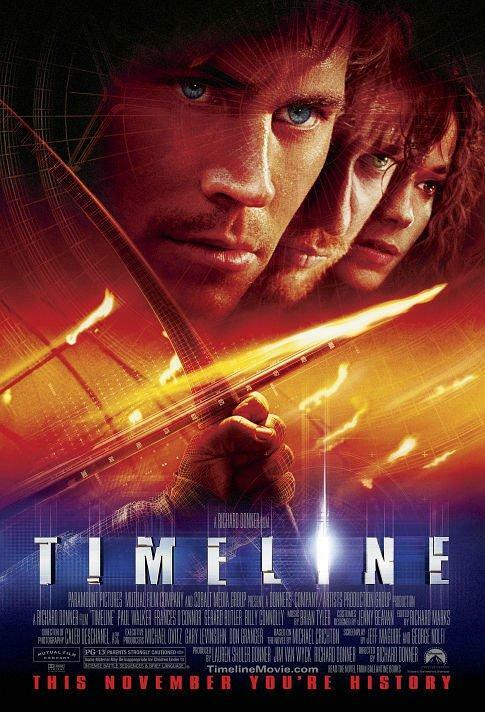 Timeline takes the basic story from one such Crichton novel and does a decent job of keeping the tension high. The question, though, is whether the time travel elements work. The Unchanged: gives consideration to those aspects of history which either could not or must not have changed in all the previous trips to the past, as part of determining the original history. Decker: considers the trip which left Decker in the past, and attempts to clarify the difference between the movement of time in parallel at each end of the wormhole and the fact that all of history has happened between those points before anyone can reach the future end from the past. Taub: works toward establishing the original history following the last trip prior to that made by Professor Johnston. Professor Johnston: considers the hazards of a scientist interfering in history, and whether the professor's interference could have ruined time. The Sarcophagus: looks at perhaps the most confusing piece of the film, the question of what would be written on Marek's sarcophagus when Marek unearths it. Glasses: considers whether the glasses could have been discovered where they were, and what is required for that. Smashing: looks at the information predestination paradox that occurs when Kate determines where to smash the wall to find the tunnel based on the fact that she remembers seeing where the wall had been smashed. Captive Claire: contradicts the suggestion made by the professor that the reason the Lady Claire was recaptured after having been rescued is that it was inevitable that she would die on the battlements. The Dead and the Living: explains why the question of who lives and who dies is more important than merely whether the war is fought. Hidden Tunnel: addresses the awkward question of why the use of the tunnel in capturing the fort is not mentioned in the history books. Multiple Dimensions: rules out parallel dimension theory as a viable explanation of the events of the film. The Last Original History: determines the original shape of history at the moment of the departure of the team we follow. The Recall Problem: uncovers a serious problem with the recall devices which becomes apparent due to Bill Baretto's grenade. The Baretto Anomaly: looks at the anomaly created when the time machine pulls Baretto out of history. A Blast: reconstructs other aspects of the overlapping anomalies involved in Baretto's return. Recalling: looks in more detail at the recall device problem and the nature of the anomalies it creates. Resolution: reaches the final outcome of the final history, with caveats. 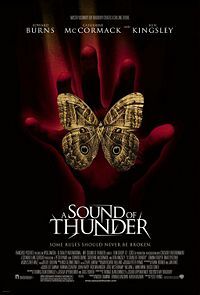 A nineteen fifties Ray Bradbury short story about a drastic change in history resulting from a time traveler stepping on a butterfly became the basis for a 2005 feature-length film of the same title, A Sound of Thunder. The reference to thunder in the short story is both to the footsteps of a tyrannosaurus and to the explosion of a rifle; in the movie it is an allosaurus, and possibly the shaking of history as it changes. There is a lot to cover in the film, another gift from Gary Sturgess. A Story: gives the background and overview of events. Precautions: praises the film's insights into the dangers of time travel, but also covers those they overlook. Butterfly Effect: considers whether the death of this particular butterfly could have had a significant impact on the future. Allosaurus: finds a problem in the concept of taking several people back from different times to kill the same dinosaur at the same time and place. Wave Goodbye: tries to make sense of a wave of change moving through time and space by considering how fast it moves in both dimensions. Climate: questions whether any alterations arising from the death of any creature in the cretacious era could impact the climate of the temperate latitudes in our time. Missteps: wonders how a tree could suddenly appear full-grown without having first appeared as a sapling someone could have trimmed. Undone: points out that if Dr. Rand will eventually cease to be human, so will those who made the trip that changed history, in which case they will never have made such a trip. Scouting: considers the problems faced by the scout, who ultimately cannot give the report he apparently gave. Late Arrivals: returns to the waves, trying to understand what is preventing time travelers from reaching the right point in history. Interference Waves: continues to explore how the waves prevent travelers from reaching the past, and looks for an explanation that fits with the solution the movie offers. Meaningful: tries to understand why every trip to the past does not create destructive waves of change in the future. Ubiquity: recognizes that if a timewave passes through every moment of time, then it exists in every place at every instant and cannot be recognized as something abnormal. The Mechanism: considers comments made about energy in the last trip to the past, in an effort to make sense of the time travel process. Boomerang: looks at that last trip in some detail, trying to grasp why that trip is completely different from the others. Unendings: puts the final nail in the coffin, in that by undoing the disaster that prompted all the efforts to fix it, the heroes undo their own efforts and so restore the disaster. It is an interesting film that raises a lot of important issues, but it creates too many problems and inconsistencies. Some people dislike Nicholas Cage for what they see as his wooden acting, his flat lack of emotion. Whether that is a fair criticism, it serves him well in Next, in which he plays a man who always knows what is about to happen and so is never surprised when it does. Does that make it a time travel film? The point could be argued, and in the series we argue it. The Setup: gives an overview of the story with some preliminary considerations about the temporal elements. Information: contrasts information time travel against prediction by probabilities, citing movies for each. Dodging: considers how the ability relates to the avoidance of physical objects including bullets and blows. Avoidance: goes beyond avoiding impacts to consider evading pursuit and capture. Shoot: grapples with the one moment in the story in which it seems the character did not expect what happened. Meetings: considers the problems related to the use of the skill for previewing social interactions, and whether it means he can see impossible futures. Divergence: addresses whether some type of multiple dimension theory might explain the film as a time travel story. In the end, it seems that this story has more in common with Minority Report than with Frequency: a story in which precognitive prediction of probable future events creates the illusion of time travel without providing real knowledge of the future. Thanks to Jim Denaxas for our copy of this one. A Movie: gives an overview of the story as we see it. Delay: shows how a trip from the future changes one little thing which launches the entire story. Sequence: works out the order of the first few time trips. Edit: looks at the intentional effort to alter history. Apocalypse: follows the primary characters to their distant future. American: finds an odd explanation for the juxtaposition of a near-term apocalypse against upscale time travelers familiar with modern events. Frustrated: returns to the editor, as she discovers that the people she wanted to kill weren't there. Petering: considers the impact of the temporal wandering of one member of the party. Overlap: considers a few more seemingly minor events in the time travels. Partying: takes them to the fan party thrown for them, and considers how it changes. Rewrite: tries to track how various trips interact to change each other. Cassie: fills in some of the gaps in her time travels. Climax: looks at the big moment, and how it resolves given various assumptions. Denoument: considers what is and is not possible in the bits of nonsense they present at the end of the film. Interestingly, although it was a very difficult film all the way around, much more of it proved workable than anticipated, and it winds up highly recommended even though wildly improbable. Gary Sturgess provided a copy of the British-release version; there does not appear to be one released with American DVD encoding. We saw this one coming, and previously announced when it was going to be opening in theaters; but in another sense, we did not see Source Code coming. It was an excellent movie on several levels, with only a few very minor issues. Our analysis gives it high marks. Spoilers: gives the basic plot of the film and introduces most of the major players. Memory: looks at what Dr. Rutledge claims the machine is doing, in sending Colter Stevens into the memories of the dead Sean Fentress. Divergence: leaps ahead to what is actually happening, as each trip creates a divergent universe based on what Stevens has Fentress do. Quantum Leap: examines the mode of travel, in which one mind takes over another body, and raises the unasked question of what happens to the other mind. First Divergence: starts constructing what happens in the new universes, showing how they expand toward infinity. First Clue: shows that what at first looks like a mistake on the part of the filmmakers turns out to be the first evidence that what Rutledge is telling Stevens is not what is really happening. Base: considers events happening in the original world in which Stevens' body lies and in the imagined world of the capsule he creates to make sense of his experience. Information: moves into those trips in which he starts using what he knows to learn more. Boom: reveals that there might after all be universes in which the nuclear bomb explodes, because of a phone call. Completion: brings us to the completion of the mission, as Stevens identifies the bomber and enables Rutledge to prevent the second bomb. Future: follows Stevens back into the past, and extrapolates some of what happens in the last world he creates, in which he remains. Overall, it was an excellent movie. Kudos to the creators for getting most things right. 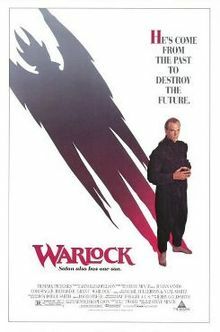 It looks so simple at first: a demon grabs a warlock out of a colonial Boston prison and transports him to modern California, pursued by a witchhunter who hitches a ride. The hunter, assisted by a modern girl, defeats the warlock, and returns to his own time. Yet there are some serious complications when it is scrutinized, and so Warlock is worthy of consideration. Not So Easy: gives the basic story, with particular attention to the problem areas and the quest to gather the three parts of the Grimoire. Cough, Cough: focuses on why it is a problem for Redferne to discover his own coffin with part of the book buried with him. Unburied: considers how the demon Zamiel would change history if he prevented Redferne from being buried. When: examines the problems that arise on the theory that the pages not buried with Redferne are in another place to be found at another time. Concurrence: resolves the problem created by the pages moving from one location to another. Foreknowledge: seeks and finds a way to simplify the complications somewhat by reconsidering the time travel element itself, in terms of how it might have worked. Return: considers the complications created when Redferne is restored to his own time, and determines whether the movie can work as a time travel story. Fixed: reconsiders the film as a fixed time story, and explores the problems which arise on that interpretation. In the end, the film proves to be a possible story, given certain assumptions. Thanks again to Gary Sturgess for providing a copy for our consideration. Another gift from fan Gary Sturgess, this film bills itself as the entire fifth and final series of the famed Rowan Atkinson British television comedy Blackadder, but was shot on film and theatrically released in England. As with most comedy time travel stories, it raises interesting questions about time travel by poking fun at the concept. 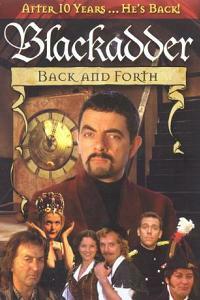 Thus Blackadder Back & Forth finds a place in our time travel work. What It Is: argues whether it is validly included as a time travel movie, introducing the cast and the background. The Bet: tells us how the story starts, and how a time machine becomes involved. Long: examines the first hop to the past, which takes us farther than any other time travel story to this point. Elizabeth: comes to the court of the first Queen of that name and introduces William Shakespeare (sometime author of additional dialogue in previous series credits). Space: tries to put a date on the starship battle the traveling duo next encounter, and fit it into the time travel events. Sherwood: hops back to the time of Richard I and Blackadder's defeat of Robin Hood. Wellingtons: is about the boots, the man who wore them, and the battle which made him famous. Legions: looks at events around Hadrian's Wall when the Scots attack. Home? : brings the travelers back to their temporal starting point, and considers the changes they encounter there. Repairs: asks whether it would be possible to fix what he broke, and whether it can be done the way he does it. King: considers the complications involved in bringing about the final scene of the story, in terms of manipulating the politics of the nation over centuries without altering the gene pool. 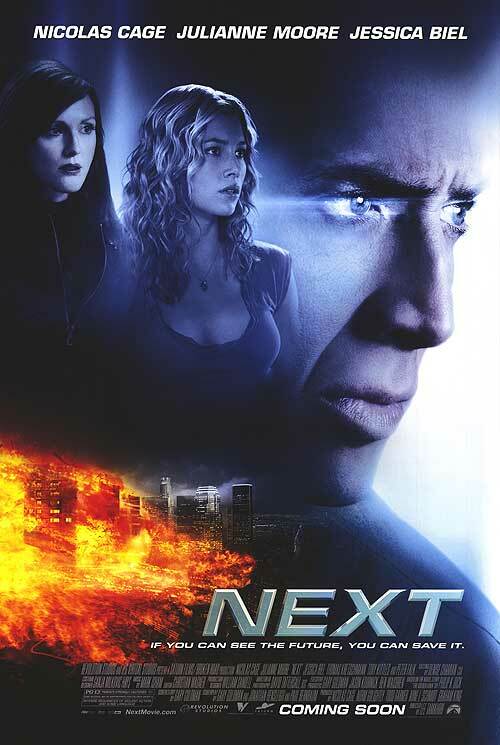 Divergence: asks whether the story might work under a divergent dimension theory, and finds a major problem in connection with the film not following its own established rules. Simultaneity: concludes the consideration of the problem of whether a time traveler can replace himself by traveling to the same moment he previously visited. Clearly a fun film worth watching, but it was not expected to be a possible time travel story, and it several times proved it was not. That completes the index through 2011; next time we will continue with articles published in 2012.